Lucious must defend Empire’s IPO launch after controversies arise around one of his artists being involved in a shooting, and Cookie proves to be invaluable by helping Lucious turn a crisis into a triumph. 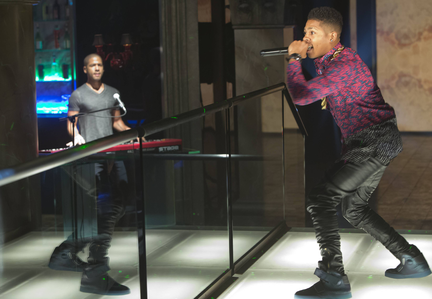 Competition between Lucious and Cookie heats up when Cookie hears of Lucious’s plan to stage a huge performance for Hakeem – but not Jamal. Meanwhile, the police begin to investigate Bunkie’s murder in the all-new “The Outspoken King” episode of EMPIRE airing Wednesday, Jan. 14 (9:01-10:00 PM ET/PT) on FOX.